In a move that is sure to make every university student and 20-something out there jump for joy, Burger King have announced a home delivery service in the UK. 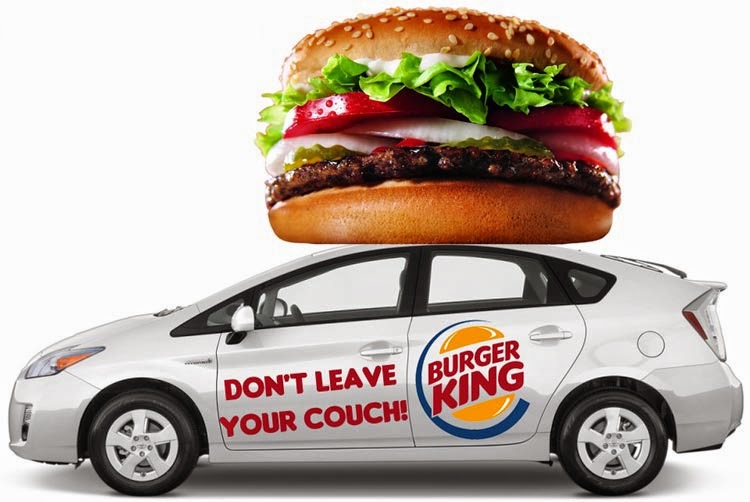 The delivery service will see Burger King competing with fast food delivery giants such as Just Eat or Hungry House and, depending on how the trial goes, could be rolled out nationwide. The public reaction to the news has been largely positive, with fans of the franchise taking to Twitter to express their joy. Before you get too excited, however, it's best to know the service is only being trialled in some locations: Hornchurch, Gants Hill, Romford, Hayes, Northampton, Truro, Skegness and Hull and only certain postcodes within those areas. You can visit the website, Burger King Delivers, to see if your postcode is one of the lucky few. If not, don't panic - Nando's deliver in certain areas, too. UK delivery service sounds cool, everyone there might be excited about this service. Burger King is moving quite fast.